After quitting, how long does Kratom stay in the system? Kratom has a biological name Mitragyna speciosa and it is an evergreen tree from the coffee family (Rubiaceae).It is native to Thailand and some other parts of Southeast Asia. The leaves of kratom contain many therapeutic alkaloids and so they are commonly ingested orally either by direct chewing or brewed into tea. It is believed to have many medicinal properties. The alkaloids derived from kratom are mitragynine, paynantheine, speciogynine and 7-hydroxymitragynine. Among all the alkaloids mentioned above, the most important is mitragynine. When it is ingested, it works like a partial mu-opioid receptor agonist (MOR). 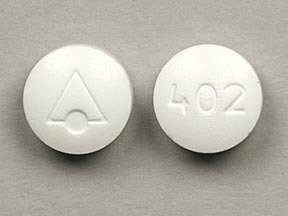 Because of the agonist effect of the mu-opioid receptors there is a strong analgesic effect that is somewhat similar to another drug called buprenorphine. So many people using kratom do so for taking care of chronic types of pain or inflammations. It is also used for reducing Suboxone withdrawal symptoms. In recent times kratom has become a popular drug mainly because of the medicinal properties within it. It is now legally sold in 48 states in the United States. Another reason why it has become so popular is that the drug is not detected on the standard drug test called SAMHSA-5 panel. So special tests are needed to detect kratom and its metabolites. This is why many users wonder how long it takes for the body to clear the drug completely after they have stopped consumption. So how long does kratom last? Persons who have been taking the drug will experience withdrawal symptoms when they stop using it. The withdrawal symptoms indicate that the drug is leaving or has left from your system and the dependency is leading to all those symptoms. In order to understand more about the metabolism you need to understand the half life of kratom. The elimination and half life of kratom was studied only in animals till the year 2015 and so its pharmacokinetics effects in humans has not been fully understood. A recent study that was published in the year 2015 shows that the average half life of kratom’s main alkaloid mitragynine is approximately 23.24 hours. But it is important to note here that the study conducted was done on a small sample size of about 10 male users who had consumed the drug in very high doses for 1-2 years. Based on the above information, it can be estimated that the 50% elimination of the drug will take about 24 hours. This includes the elimination of kratom and its metabolites from systemic circulation. Complete removal will take around 5.33 days. When we consider the variation in the half life it should be taken into account that the study was conducted on very few individuals and that is the reason for the differences in the elimination times of the half life of the drug. The study showed a wide spectrum of results. The fastest elimination of the kratom alkaloids is 7 hours which means that is going to be there in the system for 1.64 days. In contrast, the slowest elimination half life was found to be 39.91 which means that the drug is cleared form the system in 9 days. This is the time taken to clear the drug completely from the system. The sample of users in the study had abused the drug for more than a year. So it is logical to think that the elimination time of the drug in new or infrequent users would be different and there would be some individual variations as well. After understanding the basics about the half life of kratom, it is clear that on an average a user will take about 5.33 days to clear his system from the drug completely. But inspite of this there is a lot of variation in the metabolism of the drug. This variation is due to the individual factors like the body statistics of the drug user, dose of ingestion, frequency of intake and use of other drugs and supplements. All these factors need to be considered when understanding the metabolism of kratom in the body. Kratom is a plant and the alkaloid present in it is of plant origin. So the amount and quality of the alkaloid content tends to vary depending on the source of the particular plant and the place from which it is collected. It is already known that in kratom the principal alkaloid is mitragynine and it is obtained from the leaves but how much of the alkaloid will be derived from the plant is variable as the growth of the plant decides it. 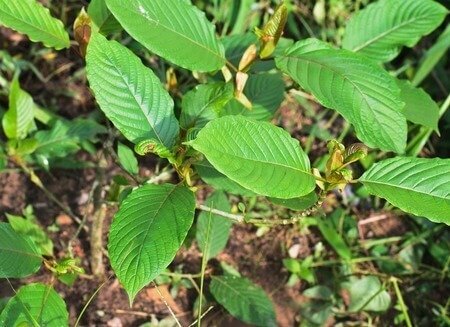 Studies show that the kratom plants that grow in Southeast Asian countries contain the highest levels of mitragynine. As opposed to this, the kratom that is grown artificially in a green house or in locations apart from southeast Asia, the levels of mitragynine are moderate or negligible. At times if the plant is not growing well, the level could be non existant. The leaves of kratom that have more quantities of the alkaloid are more potent and stronger in effect. Due to the strong effect, the metabolites will remain in the system and the circulation for a much longer time. The leaves of the plants that contain very less amount of mitragynine may at times contain other alkaloids but the quantities are very small and they cannot be assessed on a drug detection test. The source of the plant from which the alkaloid was derived is also of equal consideration here. Suppose the kratom is sold by an illegal supplier or it has been tampered with and some chemicals are mixed in it, then the artificial chemicals will get detected on a drug test. For example if someone takes kratom leaves that are laced with another drug like tramadol,then the O-desmethyltramadol will be detected on a drug screening. To understand this let us take the example of two persons. If both of them consume the same amount of kratom with the metabolite mitragynine, there will be a difference in the elimination speed. One user is likely to get rid of the drug faster than the other. This kind of difference is mainly because of the systemic elimination of the drug which differs in different users based on the factors like age, weight, height and genetics. (a) Age: The age of the user plays a very important role in the metabolism, absorption and excretion of the drug from the body. The half life of the drug is also affected. If the kratom is ingested by an elderly person above the age of 65, then the half life will get prolonged as compared to that in the body of a young person. This is because an older person will have a poor renal and hepatic clearance and the use of other drugs will ultimately result in the prolonged elimination of the drug. So if the user is older than the metabolites will stay in the body for much longer than it will in a young person. (b) Body fat: The body fat percentage of the user also plays an important role in the metabolism of the alkaloids of kratom. The main metabolite of kratom that is mitragynine is lipophilic and also hydrophobic. The alkaloid tends to be more soluble in fat than in water. So people with more body fat will automatically retain the metabolites of the drug for a longer time period. With repeated usage, the metabolites of kratom tend to get accumulated in the fat cells of the body. If the person is lean and does not have much fat then the drug will be eliminated faster and more efficiently. If the user is obese, then the drug will get stored in the fat cells and so the elimination from the body will take much longer. (c) Genetics: The exact step by step metabolism of kratom is not fully understood but studies have shown that it gets broken down by CYP450 enzymes and mostly by CYP2D6 isoezyme. CYP2D6 is a very polymorphic gene and the individuals having the gene may have alleles which lead to the poor or enhanced functioning of CYP2D6. So people with this gene find it difficult to metabolize the mitragynine to the optimum extent. A person with a poor CYP2D6 metabolism will exhibit a longer half life of the drug metabolites as it will take long to get cleared from the system. A person having optimum CYP2D6 alleles may fall in the category of an ultra rapid metabolizer of the mitragynine. So when considering how long the drug will stay in the system, it is very important to consider the CYP2D6 alleles. (d) Liver function: Users who already have some kind of liver disturbance like a hepatic impairment will show more than normal plasma levels of mitragynine than a person with normal liver functions. This observation is the basis and evidence that explains the role of CYP2D6 isoenzyme during the metabolism of mitragynine. The impairment of liver functions also tends to prolong the average half life of the drug. (e) Food and water intake: It is a speculation that taking high fat food and water along with kratom tends to affect the absorption. Fatty meals will increase the speed of absorption and thus increase the bioavailability of the drug alkaloid mitragynine. The complete information on this matter needs further investigation. The fact remains that food tends to affect the speed of movement of the drug within the system. Another important factor that we need to consider here is the water intake. People who are well hydrated when consuming the drug tend to affect the metabolism indirectly because the metabolites tend to remain in the system before they can get excreted by the kidneys. Good hydration will increase the urine output and urine flow thus eliminating the drug at a much faster rate. Thus food and water intake greatly affected the rate of elimination of kratom. (f) Metabolic rate: The basal metabolic rate which is also called as BMR plays a very important role in determining how much energy a person will burn out. Higher the metabolic rate of the body, faster they will eliminate the drug and its metabolites from the body. Lower the BMR, slower will be the speed of metabolism of the drug. So it can be understood that a high basal metabolic rate will speeden up the elimination of the alklaoids of kratom. (g) Ph of the urine: The alkaloid mitragynine is acid labile which means that it tends to get destroyed under the effect on an acidic environment. So if the ph of the urine is acidic, then the elimination rate will go up. (h) Renal function: The final excretion of kratom and the alkaloids occurs via the kidneys into the urine hence the urine tests are a very effective way of drug testing. A large amount of the mitragynine gets excreted by the kidneys. Any disease that leads to renal impairment will reduce the efficacy of renal excretion of the drug. Thus the drug tends to accumulate in the kidneys. So a person with a pre existing renal disease, will have an increase half life of mitragynine in the body. This is often directly proportional to the functioning of the kidneys. Taking any drug or supplement along with the drug affects the metabolism in the body. CYP2D6 inhibitors like fluoxetine, ritonavir, quinindine etc are known to interfere with functioning of the CYP2D6 isoenzyme. The quantity of kratom consumed affects how long the drug will stay in the system. The potency and the alkaloid content is also important here. If a user takes around 2-4 grams of kratom leaves and another user takes 10 grams of the leaves. The higher dose user will have greater plasma levels of mitragynine and they will linger in the body for a much longer time. Occasional users tend to show a plasma concentration of 10-50 micrograms in one liter. The rate and frequency of use also plays a decisive role in the metabolism of the drug. If the drug is taken more frequently, then the plasma concentration peak is reached faster and the high drug concentration within the system make the elimination slower. A single or one time user will not attain a high peak plasma concentration. On each ingestion, the lipophilic effect of the drug kicks in and the alkaloids tend to get accumulated in the fat cells. This aggregation is seen more in frequent users that in one time users as the upward titration of the drug happens in the body. The dosage hence is a very important variable factor that decided how long the kratom stays in your system. After the drug is ingested, the main alkaloid of kratom that is mitragynine gets absorbed into the system and reaches the gastro intestinal tract. The peak levels of the drug in the plasma occurs around 50 minutes after taking the drug. The rate of absorption gets affected by the food and more so if the food contains a high level of fat. Once it is absorbed, it gets into CYP450 metabolism that takes place in the liver. The extent of this step of metabolism is not completely known till now. Mitragynine has a tendency to get stored in the fat cells of the body. This property is called as lipophilicity and because of this reason the penetration through the blood brain barrier is very high. The extent of binding of the alkaloid to the plasma proteins is not fully understood yet.. The alkaline nature of the mitragynine is easily affected by the intestinal ph of the user. There are studies that have shown that when the mitragynine is exposed to an acidic ph of around “4” then it will degrade. The metabolism in the liver occurs due to the effect of CYP2D6 isoenzymes and other isoenzymes like CYP2C9 and CYP3A4 which contribute to a very small extent. The breakdown of the mitragynine yields two metabolites namely 5-desmethylmitragynine and 17-desmethyldihydromitragynine. The pharmacological activity and the further metabolism of these metabolites are not yet fully understood. It is believed that the mitragynine may undergo hydrolysis specifically in position 16, O-demethylation of the 9-methoxy group and also the 17-methoxy group. Along with this the oxidation to carboxylic acids also takes place. The break down metabolites undergo the process of glucoronidation and sulfation. This leads to the production of 3 mitragynine glucoronides and 3 mitragynine sulphates. Apart from this the second most common metabolite of the kratom is “paynantheine” which is believed to get metabolized in the same way as mitragynine. The metabolites that are formed from paynantheine comprise of many glucoronides and sulphates. It has been found on detailed research that small amounts of the alkaloid “speciocillatine” can be found in the urine after the metabolism cycle is completed. The understood fact is that the half life of mitragynine is 24 hours and the metabolic pathways of the byproducts is similar. Keeping this in mind, we can say that kratom will get cleared from the system within a week on a average post ingestion. The major part of the drug will get excreted from the kidneys and appear in the urine in the form of metabolites. There are some well known standard drug tests that are commonly used to detect a number of drug traces in the body. If you are consuming kratom, then you could be concerned about the tests used to detect it. Standard drug tests are SAMHSA-5 but this test does not detect kratom or its alkaloid mitragynine separately. But it is essential to know that the alkaloids of kratom like mitragynine, paynantheine and also speciocillatine can be detected on some assays. The types of drug tests for kratom detection are blood tests, urine tests, saliva tests and hair tests. Urine tests come of use to detect a recent drug ingestion. Collecting a fresh urine sample which is then sent for analysis is the most effective way of testing. It is not very clear that for how long the kratom metabolites stay in the urine and it depends a lot on individual factors. A regular user needs approximately 5.3 days to completely excrete the kratom out of his system so small quantities of the drug metabolites can be detected in the urine till a period of one week. If a person is using the drug very frequently, then the common metabolites seen in the urine are paynantheine, speciociliatine and also 7-hydroxy mitragynine. Since kratom is still legal in many parts of United States, the urine testing is not common. Urine tests are cheap, easy to perform and non invasive in nature so they provide a good window for detection. After oral ingestion of the kratom, urine tests are a preferred mode of testing. Blood tests are also a mode of testing for kratom ingestion. It can give an idea about how much drug has been consumed and its potency. When there is a kratom overdose, the blood levels of the main alkaloid mitragynine will exceed 300 micrograms in one liter. In one time users or in cases of sporadic use, the metabolite concentration tends to vary between 10-50 micrograms in one liter. In drug abusers who tend to consume very high doses of kratom, the mitragynine concentration tends to increase upto 100 micrograms in one liter. The alkaloid of kratom that is mitragynine, has a tendency to get stored in the fat cells of the body and it has an intermediate lipophilicity. In the first day after drug ingestion, the metabolites are found in the blood circulation. These are detectable in the blood for a few days after taking the drug. Blood tests are invasive in nature as compared to urine tests. Also the window period for detection is much shorter and so it will mostly be used for research purposes and during hospitalization of drug addicts. At present there is no fixed evidence that hair tests can be used for detecting kratom and the alkaloids like mitragynine. Studies are on to use hair as a mode of testing for drug traces. It is a possibility that many kratom users have small traces of the drug in the hair. The advantage of doing a hair test over the others is that the urine and blood tests are invasive in nature and hair tests provide a longer window period for detection of the drug metabolites. It is very probable that kratom users have mitragynine in their hair samples for up to one month and for 2-3 months but in very trace amounts. If the use of kratom as an addictive agent increases, then the tests are bound to get more updated. There is another modality of drug testing and that is saliva tests. This involves testing of the oral fluid which is sent to the lab for analysis. This mode of testing is used commonly to check for the presence of illegal drugs and the technology used for testing is getting better each day. In the coming days, this test will be of much use for testing ingested doses of kratom. Officers of the law enforcement department and policemen may use a device that collects the oral fluid from people who are suspected to be intoxicated with drugs. The device will confirm the presence of metabolites of kratom. In the United states, kratom is legal and so the saliva test using devices is not very common. But it can be employed in other states very effectively. In the United States, it is rare that an individual will be tested only for kratom by means of isolating alkaloids like mitragynine. The tests done most commonly are the standardized drug tests. The group of population that are most likely to be tested includes individuals admitted in rehab centers, criminals, military personnel and persons with occupations that demand maximum vigilance. (1) Criminals: If someone is taken into police custody for a criminal offense then that person is likely to be tested for kratom and the traces of other drugs. There are some states in the United States where kratom is still illegal for both possession and consumption. Most criminal offenses occur under the influence of drugs so the offender is likely to be tested for kratom ingestion and if found positive, he will be given severe punishment or penalization. (2) Drug rehabilitation individuals: There are many people who get enrolled into rehab centres to get rid of their addiction and to cope with the withdrawal symptoms. An individual who has a history of drug abuse with opioids, can be taking kratom to minimize the withdrawal symptoms. But many times the addicts begin abusing kratom as a way of getting the opioid intoxication. In such cases they will be tested for kratom. If the test is positive, they may require an extension of the rehab stay. (3) Job employees: In the United States, kratom is a legal drug but the side effect is that it can cause a depression of the central nervous system. Due to this the vigilance and alertness tend to get affected. So employees of those occupations where complete and maximum vigilance is required may be subjected to this test. For example heavy vehicle operators, bus drivers and security personnel. (4) Military Personnel: The people who take up military as their profession have a great responsibility of their troops and the security of the nation. So military personnel are subjected regularly to drug screening tests for much more than their own safety. If the person is suspected to be intoxicated, he will have to undergo strict drug screening tests and if found positive, he may be detained from service. If you have recently consumed kratom and you want to clear your body of the metabolites like mitragynine then you could benefit by the following tips that will help you to clear the kratom at a faster rate. The methods that are discussed here are not very safe for every person so you should always take medical advice when in doubt. The best way to get the drug out of the system is to completely stop taking it for a few weeks. (1) pH Change: There are studies that suggest the primary alkaloid of kratom that is mitragynine is acid stable and it tends to degrade very fast in the presence of an acidic environment. So if an individual stops eating alkaline foods and switches to acidic ones, then the rate at which the mitragynine is excreted out of the body tends to get altered. Acidic ph will fasten the excretion of the drug. If the acidification is increased in the urine via the foods and drinks then the half life of the metabolite mitragynine gets reduced to a great extent. (2) Exercise: In individuals who have a high fat content, the metabolism of the drug tends to slow down. It is suggested that a good amount of exercise will be very helpful in excreting the kratom and its metabolites out of the body. Drugs when taken in excess have a tendency to get stored in the fat cells of the body. In this matter, kratom has a minimum lipophilicity that means it does tend to get stored in the fat cells of the body. Hence if the user is overweight, he can hasten the clearance of the drug by means of some exercise. (3) Activated charcoal: Suppose you take kratom and immediately rethink about why you took it, you can take some activated charcoal and benefit from it. The charcoal tends to bind with the kratom metabolites before it undergoes hepatic metabolism and thus some of the drug gets eliminated before the psychoactive effect kicks in. So the activated charcoal will act as an important supplement for detoxification. (4) Calcium D-glucarate: There are some initial level studies that show that the alkaloids of kratom like mitragynine undergo metabolism in the kidney and the liver. If you want to fasten the renal metabolism, then you can take calcium-d-glucarate which is a substance that helps to clear the detoxification in the kidney. It also acts as a beta-glucoronidase inhibitor. 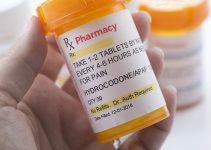 If you have recently stopped taking the drug and are hoping that it clears from the system soon, then you should read the above information carefully. Did you notice that any of the metabolite of the drug was found in your body days after the stoppage of the drug. If yes, then you can share the information below so that other users can be benefitted. You must remember to mention the amount, dosage, frequency and associated drugs and medications in your case. This information is important because the half life of the drug tends to vary in different persons on account of the above mentioned personal factors. Most of the users tend to get rid of the drug from their systems by the end of two weeks after quitting.